With hundreds of satisfied customers and counting, Bennett’s Total Pool Care is the most complete and trusted pool company in the area. Give us a call today at 229-251-7513 to schedule service or an estimate. We’d Love To Say Hello! Thank you for visiting the online home of Bennett’s Total Pool Care, the best pool care company in the Lowndes County and Valdosta area. 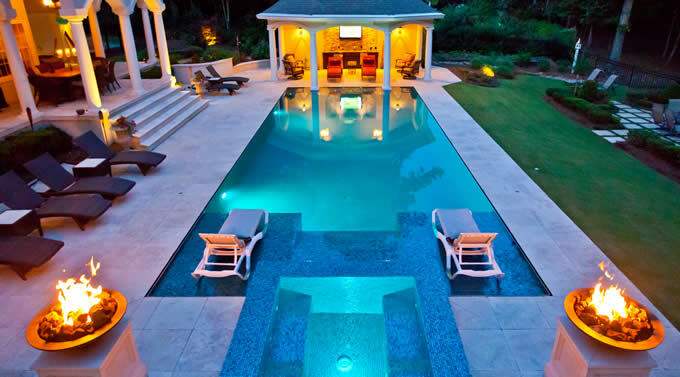 We loyally serve the local residents with timely and complete service for any pool, hot tub or fountain. With more than 20 years experience in the pool industry we have the necessary tools and skills to take care of almost any problem you may encounter, or simply provide regular standard service.Bennett’s Total Pool Care is here for all of your pool care needs! We love our customers and are fully dedicated to keeping their trust by providing comprehensive service and outstanding after service support! Travis arrived on time and quickly figured out and fixed my problem. He saved me time and money by providing honest service. Bennett’s Total Pool Care has taken care of my pool for 4 years and always provide great service at a reasonable cost. I live in Lake Park and they are able to come out within a few hours if I need something fixed. Travis Bennett has an amazing pool service company and awesome support staff. They helped me on the weekend. This is what I call an “extra mile” in customer service. I’d give 10 stars for support! Many more, just call and ask! Bennett's Total Pool Care is ready to work for you! Contact us today if you have any questions or to schedule service or an estimate.